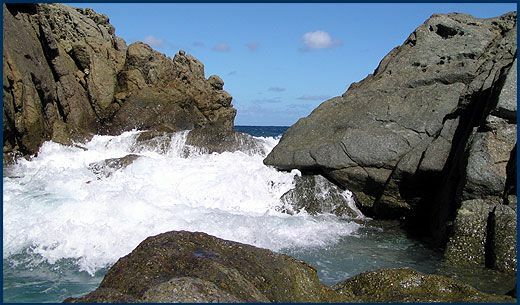 According to a source, two men were reportedly in the vicinity of the ‘Bubbly Pool’ at Diamond Cay in Jost Van Dyke when tragedy struck. The entire circumstances surrounding the death and injury are not clear at this time. Preliminary reports indicate that the dead man has been identified as a resident of Texas, USA Jonathan Wheeler, 34 years old. The other man involved in the incident reportedly almost drowned but survived with some amount of injuries. 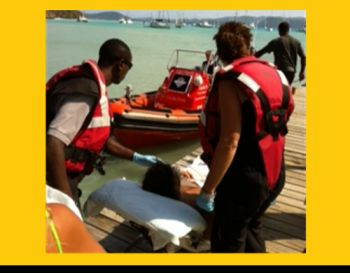 The men were reportedly rushed to a clinic in Jost Van Dyke. Reports also indicate that at least two men attempted to rescue the men after it was discovered that the men had encountered difficulties in the water. According to reports, Virgin Islands Search and Rescue (VISAR) was also called into action. Virgin Islands News will continue to work on this story and provide more details as they unfold. So sad, everytime this is reported. More tourist death... sad. so sad. i do not know you or your family but RIP...... but when it comes to life we never know what each day has in stalled for us. We were there when this happened. The deceased actually went in to help his friend who was having difficulty when a crashing wave took him off of the rock ledge that he was standing on. He was floating face down in the water when his friend tried to recover his body and he got sucked in. He got out after a life ring was tossed to him and he was battered up with what looked to be a broken hip. The power of those crashing waves were relentless. He didn't have a chance. Everyone, regardless of ability in the water, should be aware of conditions before entering the water. That means wave action, pool depth, swimming in a group, and wearing appropriate beach wear....no baggie shorts of denim with oversized waists. You are in charge of yourself and the judgements you make. People need to think before they speak. Life guard or not when its one's time its their time and it was his time. So why go blame the Government? I wonder if you know that we all here, once residing in these Virgin Islands, help to make up the government? Anyway, with that said my condolences goes out to the young man's entire family and his friends. People have been going to the bubbly pool for many many years. Only in the last year have we had these very serious injuries and death. Maybe the time is ripe for more. Yes there are now signs and we need more signs to alert the tourist about the dangers of the area. Our visitors need to know about abnormal conditions when the sea is so rough that waves can come into the pool and can drag you out to sea. There also need another sign on the rock just were the bubbly pool begins, warning about those rogue wave that can wash you off the rocks. I remember fishing once beyond the mouth of the pool. I climbed up on a big rock and checked that it was completely dry. About ten minutes later a rogue wave took my fishing rod and had me clinging for my life. I have learned to respect that area and we need to teach or visitor to love and respect that area also. The best solution to avoid any other deaths especially tourists is to finally close off that area by postings signs saying not to enter the Bubbly Pool no matter it's condition. This area as all can see is nothing but a beautiful to look at, sneaky death trap. There are other nice areas to bathe on Jost Van Dyke, send them there. Would you have all of us stand on the sidewalks inside an bullet-proof, iron cage just in case a rogue car or gunman came by? Everyone of us will make our own choices and take our chances on the outcome. When people turn to the government to protect them from everyday risks they lose their freedom and eventually their happiness all for the mirage of safety and security. If there were signs warning of the danger during rough seas that is the best anyone can expect from the local government or local people. This is a tragic loss and my condolences go out to his friends and family. That he risked his life to help his friend says a lot about his character and I'm sure he will be missed. A heartfelt condolences extended to the family at this sad time. May Jehovah God keep you and give you the grace to get through this difficult period. Nowadays we can see when there is dangerous swell activity,the technology is there,bubbly pools should be closed when swells are dangerous and they certainly were that day and for a couple of days.The tourist board knows this and sends out messages warning people and businesses, so do surfers.So put up a Red flag amnd signage,,no swimming when swell is high and dangerous and this would not have happened.When the swell is small to moderate Bubbly Pool is fun for those that know about water and can swim. Its all about information and proper observation. Whey yuh talking bout ooooo? As a parent there is nothing worse than this. My heart goes out to this young mans family. My son lives in St Thomas and tells me what a wonderful human being Johnny was I will keep him and the family in my heart and prayers..